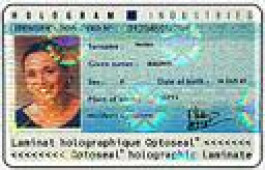 In thermal transfer printing, a thermal printhead applies heat to a ribbon, which melts ink onto the card to form the image. The ink is absorbed so that the image becomes part of the media. This technique provides image quality and durability that is unmatched by other on-demand printing technologies.